"Via traiana, an extension of the Appian Way in southern Italy. The depiction of the personification of the highway is reminiscient of the art nouvean posters of the 20s and 30s advertising motor cars." So what are the implications? IF the Romans had a working steam or gasoline engine, they we know how the pyramids were built. The thing that the figure is in, on the coin, looks nothing like a car but rather some manner of vines. The "steering wheel" looks to be a spinning wheel for making thread and such. Therein lies the problem, they didn't. If we have artifacts of hand tools then we'd artifacts of machinery as well. If the Romans were that advanced then there would be plenty of automobile artifacts including schematics detailing their production. No seatbelt? Then what is going across his lap? The belt seems to be loose because he seems to be parking the machine. NOtice his head is turned to the back as he backs up into the royal parking spot. If you are not happy sit explanation one and two, how about three: the aliens give the car to the emperor for encouraging his people to worship them as gods. What would they power the car with? The greeks had a "steam engine" but it was more of a party piece rather then a functioning motor as we know it today. 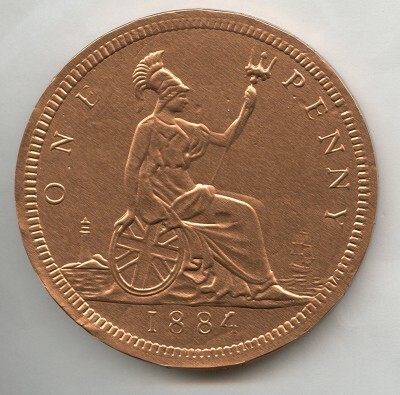 There are numerous versions of this coin from different mintings. It's pretty obvious it's just a reclining woman with a robe draped over her legs. The cart wheel is in keeping with it's commemoration of the completion of the Via Traiana. All it's missing is the wheel. hmm... she's looking behind, as if she's just heard the siren and saw the lights come on? The Romans had carts, not cars.. Exactly, ancient Romans did not have automobiles. Romans had cars?....hmmm, the best we could do was a wheelchair ! And honestly, it's strange that you chose to interpret that coin as a car. It honestly looks more like a jet-ski, which would be both somehow even more absurd, and a thousand times more hilarious. I think that had the Romans been given a car by the gods or were able to make one I am sure they would have been so proud of the fact that they would have got an artist who could at least draw one for their coins. I think that anyone who actually believes they did have such a form of transport is the same sort of person who would believe me when I say that the word 'Gullible' has accidentally been left out of the latest version of the Oxford English Dictionary . 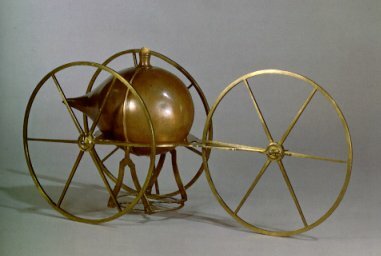 The first working steam-powered vehicle that we know about was likely to have been designed by Ferdinand Verbiest, a Flemish member of a Jesuit mission in China around 1672. It was a 25 and a half inch long scale-model toy for the Chinese Emperor, that was unable to carry a driver or a passenger. But, for all we know, maybe a steam-powered vehicle was built centuries earlier. .....something which they ran out of all too soon. You are suggesting that Romans are hundreds of years ahead of their time, with the steam and even more so with the gasoline. If they had developed a steam engine I assume it would have been used quite widely in areas other than transport and to suggest gasoline would mean they were pumping and refining oil. Are you further suggesting they knew how the pyramids were built? I am sure somebody will correct me if I am wrong but the pyramids were built thousands of years prior to the Roman occupation of Egypt. But, I suppose they could have sent an army over in their Chinook helicopters after a quick email or telephone call from the Egyptian Pharoah to the Roman Emperor requesting assistance in the building of such things The Chinooks could then have helped to carry the heavy stones from the quarries to the pyramid site and lowered them into place. Meanwhile , the two Heads if State could survey their work from the comfort of their air conditioned car. I am sure somebody will correct me if I am wrong but the pyramids were built thousands of years prior to the Roman occupation of Egypt. They were built over two thousand years before Rome. So obviously the aliens also furnished the Romans with a Tardis. These Roman and Greek coins have things on them that are very controversial such as flying machines and deplictions of the ROUND GLOBE WITH ITS CONTINENTS 2000 years before Columbus. Coin collectors are very nervous about these things such as the vehicle on this coin. So they never bring up the subject because if they do the unscientific community will immediately claim the coins are not real. If that happens the price of them drops quickly. So the coin collectors try to cover the truth by claiming in ths coin that the seat belt was really part of a woman's robe or that the steering wheel represents carts or something like that. However, the opinion of one coin collector which I quoted said that the coin remindied him of posters of motor cars in the 1920s. As for the technology, the British were the first to build steam engines in the 18th century and within a hundred years they were powering ships and trains. From our own experinces with technology nobody can say that the Romans or Greece or even the Egyptians did not have steam engines or even gasoline or ELECTRIC MOTORS. Remember the Baghdad batteries that were over 2000 years old? How much longer would it take them to build an electric motor? I think it took the Europeans around fifty or 75 years to go from batteries to motors. So you would think that with such technology there would be artifacts. But the people doing the digging are the members of the unscienific community and they are good and getting rid of anything that does not fit into the theory of evolution. There's so many historical errors in this thread I'm not even going to bother trying to correct them all. First off... The Romans lacked the technological base that the Brits had in the early days of the Industrial Revolution... In Roman times, wind, water and muscle power were it. Period. OMG to think that this coin represents that the romans had cars is... :rofl: . There is no archelogical evidence to even suggest that was possible. The image is obviously that of a person wearing a robe reclining on a divan while holding a 'cart wheel' with vines in the background. If the romans had such a thing as a 'car' and its a whooping big 'IF' you would think it would appear more often in their artwork, like on vase's, statuary and frescoes. Why would anyone think that people would hide such an ancient invention for the general public? Ah, I see Taun already beat me to it. I am glad that actual Roman writers and historians (like Pliny the Elder, Plutarch and earlier Greek historians like Herodotus) were all a part of this ancient conspiracy because their writings do not mention anything about cars. I mean, come on. It is one thing to argue about the history of the pyramids (still crackpot, but more justifiable I think), but we still have history, math, and science textbooks from the Roman and Greek eras, and the knowledge of how to speak and read those languages was never lost to history! OH MY GOD !!! IT'S TRUE !!! Just kidding. It's from "Jean-Antoine Nollet, Leçons de Physique Expérimentale, 1764, Vol. IV"
A lot of people don't know that the Romans invaded England on the Jet-ski, it allowed them to get there so much quicker than by boat. When they made it to the English coastline, they parked the jetski's and then texted Caesar to let them know they made it ok. Caesar then tweeted that the attack was starting, not realizing that several of the English towns had donkey powered laptops. Once they knew that the Romans where coming, they hopped onto their hoverboards and shot at the Romans with laser pistols. The end result was an ugly affair. I find history much more exciting when I make it up.